BUYUK, O. , ARSLAN, M. L.
In this paper, we propose to use Gaussian mixture model (GMM) supervectors in a feed-forward deep neural network (DNN) for age identification from voice. The GMM is trained with short-term mel-frequency cepstral coefficients (MFCC). The proposed GMM/DNN method is compared with a feed-forward DNN and a recurrent neural network (RNN) in which the MFCC features are directly used. We also make a comparison with the classical GMM and GMM/support vector machine (SVM) methods. Baseline results are obtained with a set of long-term features which are commonly used for age identification in previous studies. A feed-forward DNN and an SVM are trained using the long term features. All the systems are tested using a speech database which consists of 228 female and 156 male speakers. We define three age classes for each gender; young, adult and senior. In the experiments, the proposed GMM/DNN significantly outperforms all the other DNN types. Its performance is only comparable to the GMM/SVM method. On the other hand, experimental results show that age identification performance is significantly improved when the decisions of the short-term and long-term systems are combined together. We obtain approximately 4% absolute improvement with the combination compared to the best standalone system. D. A. Reynolds, T. F. Quatieri, R. B. Dunn, "Speaker verification using adapted Gaussian mixture models," Digital Signal Processing, vol. 10 (1-3), pp. 19-41, 2000. W. M. Campbell, D. E. Sturim, D. A. Reynolds, "Support vector machines using GMM supervectors for speaker verification," IEEE Signal Processing Letters, vol. 13 (5), pp. 308-311, 2006. P. Kenny, P. Ouellet, N. Dehak, V. Gupta, P. Dumouchel, "A study of inter-speaker variability in speaker verification," IEEE Transactions on Audio Speech and Language Processing, vol. 16 (5), pp. 980-988, 2008. N. Dehak, P. Kenny, R. Dehak, P. Dumouchel , P. Ouellet, "Front-end factor analysis for speaker verification," IEEE Transactions on Audio Speech and Language Processing, vol. 19 (4), pp. 788-798, 2011. P. Kenny "A small footprint i-vector extractor," in The Speaker and Language Recognition Workshop (ODYSSEY), Singapore, pp. 1-6, 25-28 June 2012. P. Kenny, "Bayesian speaker verification with heavy-tailed priors," in The Speaker and Language Recognition Workshop (ODYSSEY), Brno, Czech Republic, pp. 014, 28 June-1 July 2010. S. J. D. Prince, J. H. Elder, "Probabilistic linear discriminant analysis for inferences about identity," in IEEE International Conference on Computer Vision (ICCV), Rio de Janeiro, Brazil, pp. 1-8, 14-20 October 2007. G. E. Hinton, S. Osindero, Y. The, "A fast learning algorithm for deep belief nets," Neural Computation, vol. 18, pp. 1527-1554, 2006. L. Deng, D. Yu, "Deep learning methods and applications," Foundations and Trends in Signal Processing, vol. 7 (3-4), pp. 197-387, 2013. G. Hinton, L. Deng, D. Yu, G. Dahl, A. Mohamed, N. Jaitly, A. Senior, V. Vanhoucke, P. Nguyen, T. Sainath, B. Kingsbury, "Deep neural networks for acoustic modeling in speech recognition," IEEE Signal Processing Magazine, vol. 29 (6), pp. 82-97, 2012. F. Richardson, D. A. Reynolds, N. Dehak, "Deep neural network approaches to speaker and language recognition," IEEE Signal Processing Letters, vol. 22 (10), pp. 1671-1675, 2012. H. Zen, A. Senior, M. Schuster, "Statistical parametric speech synthesis using deep neural networks," in IEEE International Conference on Acoustics, Speech, and Signal Processing (ICASSP), pp. 7962-7966, 26-31 May 2013. I. J. Tashev, Z. Q. Wang, K. Godin, "Speech emotion recognition based on Gaussian mixture models and deep neural networks", in Information Theory and Applications Workshop (ITA), February 2017. C. Zhang, C. Yu, J. H. L. Hansen, "An investigation of deep learning frameworks for speaker veri?cation anti-spoo?ng," IEEE Journal of Selected Topics in Signal Processing, vol. 11 (4), pp. 684-694, 2017. 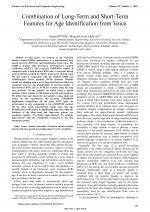 S. B. Davis, P. Mermelstein, "Comparison of parametric representations for monosyllabic word recognition in continuously spoken sentences", IEEE Transactions on Acoustics, Speech and Signal Processing, vol. 28 (4), pp. 357-366, 1980. J. Makhoul, "Linear prediction: A tutorial review", Proceeding of the IEEE, vol. 63 (4), pp. 561-580, 1975. F. Itakura, "Minimum prediction residual principle applied to speech recognition", IEEE Transactions on Acoustics, Speech, and Signal Processing, vol. 23 (1), pp. 67-72, 1975. D. A. Reynolds, W. Andrews, J. Campbell, J. Navratil, B. Peskin, A. Adami, Q. Jin, D. Klusacek, J. Abramson, R. Mihaescu, J. Godfrey, D. Jones, B. Xiang, "The SuperSID project: Exploiting high-level information for high-accuracy speaker recognition," in IEEE International Conference on Acoustics, Speech, and Signal Processing (ICASSP), Vancouver, Canada, 6-10 April 2003. B. Yegnanarayana, S. R. M. Prasanna, J. M. Zachariah, C.S. Gupta, "Combining evidence from source, suprasegmental and spectral features for a fixed-text speaker verification system," IEEE Transactions on Audio Speech and Language Processing, vol. 13 (4), pp. 575-582, 2005. F. Metze, J. Ajmera, R. Englert, U. Bub, F. Burkhardt, J. Stegmann, C. Muller, R. Huber, B. Andrassy, J.G. Bauer, B. Little, "Comparison of four approaches to age and gender recognition for telephone applications," in IEEE International Conference on Acoustics, Speech, and Signal Processing (ICASSP), Hawaii, Honolulu, USA, 16-20 April 2007. H. Meinedo, I. Trancoso, "Age and gender classification using fusion of acoustic and prosodic features," in International Conference on Spoken Language Processing (INTERSPEECH), Makuhari, Japan, 26-30 September 2010. T. Bocklet, A. Maier, J. G. Bauer, F. Burkhardt, E. Noth, "Age and gender recognition for telephone applications based on GMM supervectors and support vector machines," in IEEE International Conference on Acoustics, Speech, and Signal Processing (ICASSP), Las Vegas, USA, 31 March-4 April 2008. B. Schuller, S. Steidl, A. Batliner, F. Burkhardt, L. Devillers, C. Mueller, S. Narayanan, "The Interspeech 2010 paralinguistic challenge," in International Conference on Spoken Language Processing (INTERSPEECH), Makuhari, Japan, 26-30 September 2010. B. E. Kingsbury, N. Morgan, S. Greenberg, "Robust speech recognition using the modulation spectrogram," Speech Comunication, vol. 25, pp. 117-132, 1998. M. Feld, F. Burkhardt, C. Müller, "Automatic speaker age and gender recognition in the car for tailoring dialog and mobile services," in International Conference on Spoken Language Processing (INTERSPEECH), Makuhari, Japan, 26-30 September 2010. M. Li, K.J. Han, S. Narayanan, "Automatic speaker age and gender recognition using acoustic and prosodic level information fusion," Computer Speech and Language, vol. 27 (1), pp. 151-167, 2013. J. Grzybowska, S. Kacprzak, "Speaker age classification and regression using i-vectors," in International Conference on Spoken Language Processing (INTERSPEECH), San Francisco, California, USA, 8-12 September 2016. Z. Qawaqneh, A. A. Mallouh, B. D. Barkana, "Deep neural network framework and transformed MFCCs for speaker's age and gender classification," Knowledge Based Systems, vol. 115, pp. 5-14, 2017. F. Eyben, M. Wöllmer, B. Schuller, "Opensmile: the Munich versatile and fast open-source audio feature extractor," in ACM International Conference on Multimedia, Firenze, Italy, 25-29 October 2010. B. E. Boser, I. Guyon, V. Vapnik, "A training algorithm for optimal margin classi?ers," in ACM Workshop on Computational Learning Theory, Pittsburgh, USA, pp. 144-152, 27-29 July 1992. C. Cortes, V. Vapnik, "Support-vector networks," Machine Learning, vol. 20 (3), pp. 273-297, 1995. Y. Bengio, "Learning deep architectures for AI," Foundations and Trends in Machine Learning, vol. 2(1), pp. 1-127, 2009. O. Buyuk, "Sentence-HMM state-based i-vector/PLDA modelling for improved performance in text dependent single utterance speaker verification," IET Signal Processing, vol. 10 (8), pp. 918-923, 2016. J. J. Hopfield, "Neural networks and physical systems with emergent collective computational abilities," Proceedings of the National Academy of Sciences of the USA, vol. 79 (8), pp. 2554-2558, April 1982. S. Hochreiter, "Untersuchungen zu dynamischen neuronalen Netzen," Diploma thesis 1991, TU Munich. S. Hochreiter, J. Schmidhuber, "Long short-term memory," Neural Computation, vol. 9 (8), pp. 1735-1780, November 1997. Y. Linde, A. Buzo, R. Gray, "An algorithm for vector quantizer design," IEEE Transactions on Communications, vol. 28 (1), pp. 84-95, 1980. R. Blouet, C. Mokbel, H. Mokbel, E.S. Soto, G. Chollet, H. Greige, "Becars: a free software for speaker verification," in The Speaker and Language Recognition Workshop (ODYSSEY), Toledo, Spain. pp. 145-148, 31 May - 4 June 2004. C. C. Chang, C. J. Lin, "LIBSVM: A library for support vector machines," ACM Transactions on Intelligent Systems and Technology, vol. 2 (3), pp. 27:1-27, 2011. F. Chollet, Keras. Github repository 2015. https://github.com/fchollet/keras. R. Al-Rfou, G. Alain, A. Almahairi, C. Angermueller, D. Bahdanau, N. Ballas, F. Bastien, J. Bayer, A. Belikov, A. Belopolsky, et. al. "Theano: A Python framework for fast computation of mathematical expressions," arXiv e-prints 2016. 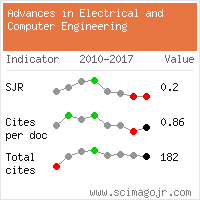 Citations for references updated on 2019-04-23 04:30 in 215 seconds.